After going on sale in November, selling out within minutes, and then disappearing from Motorola’s site for months, the Keylink is now back and available for purchase. I’ve got to admit that I’m surprised, even with Motorola confirming to us that it would be back at some point. 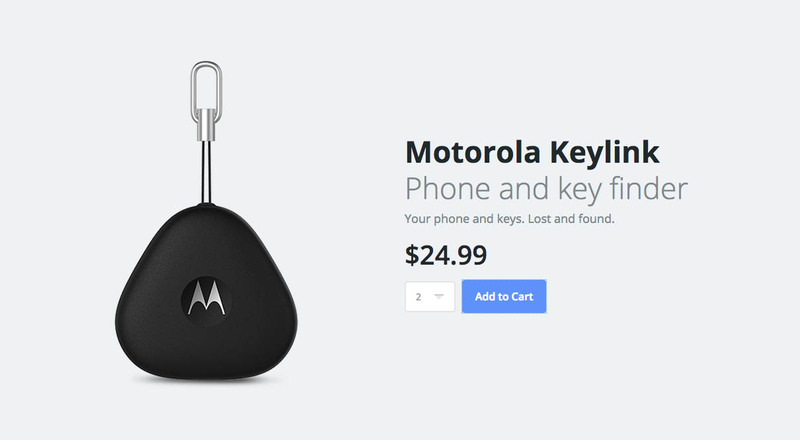 As a reminder, the Keylink is Motorola’s little keyfob, key finder, dongle thingy. It attaches to your phone via Bluetooth and the Motorola Connect app, allowing you to find either your keys or your lost phone as long as they are within 100 feet of each other. Not only that, but the Keylink can be used as Bluetooth trusted device for password skipping when it is near your phone. Go get ’em while they are here. Who knows how many Motorola produced this time around.